To ensure a quality and equitable education by providing a rigorous high school/college blended curriculum in a caring and nurturing environment which inspires students to achieve their full potential by graduating from high school prepared for college, careers, and life. The City of Alton's Chamber of Commerce hosted a gala this past Saturday, April 6th. 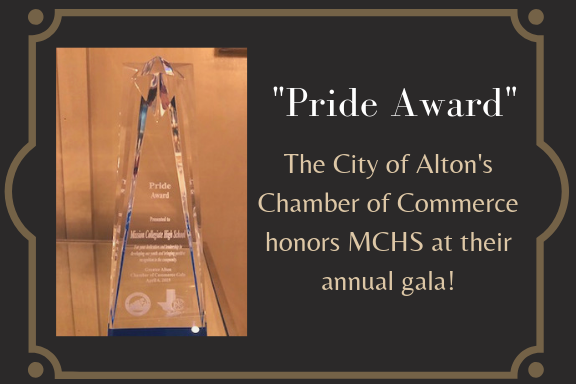 MCHS was honored with the Pride Award for our "...dedication and leadership in developing our youth and bringing positive recognition to the community." Congratulations to Our Staff Member of the Year! Congratulations to Mayra Hernandez, Staff Member of the Year! 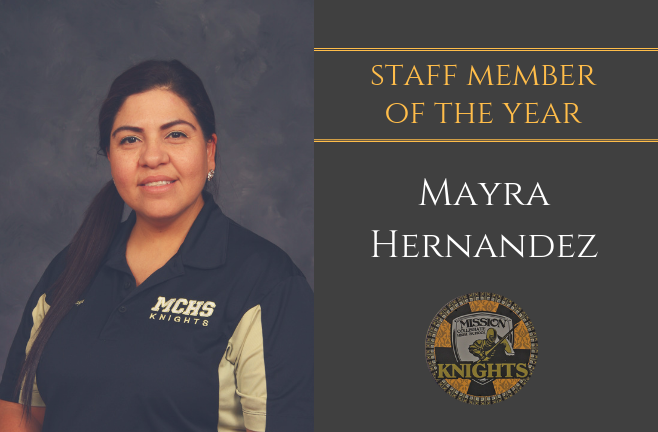 Mayra has been a part of the MCHS family for the past four years. 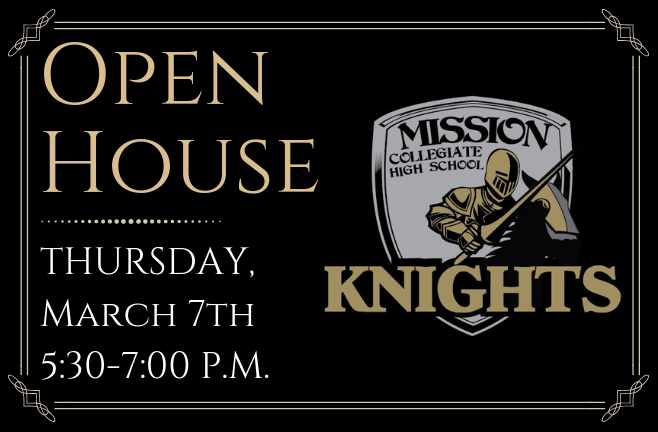 We will host our second Open House for the school year this Thursday, March 7th from 5:30-7:00 P.M. Our Health Fair will also take place in the cafeteria. Join us! Destination Imagination Team Advances to State! 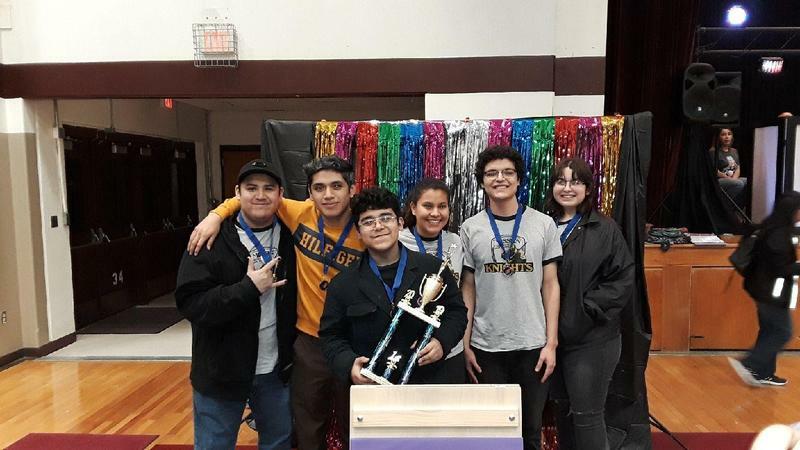 Our DI Team advanced to state after earning first place at the university-level. They will be competing in Corpus Christi on March 22nd. Best of luck to the team: Esteban Lopez, Jeremy Soto, Jude Rodriguez, Adriana Hernandez, Julian Garcia and Stephanie Garcia. Not pictured: Carina Martinez and sponsor, Shawna Kennedy. 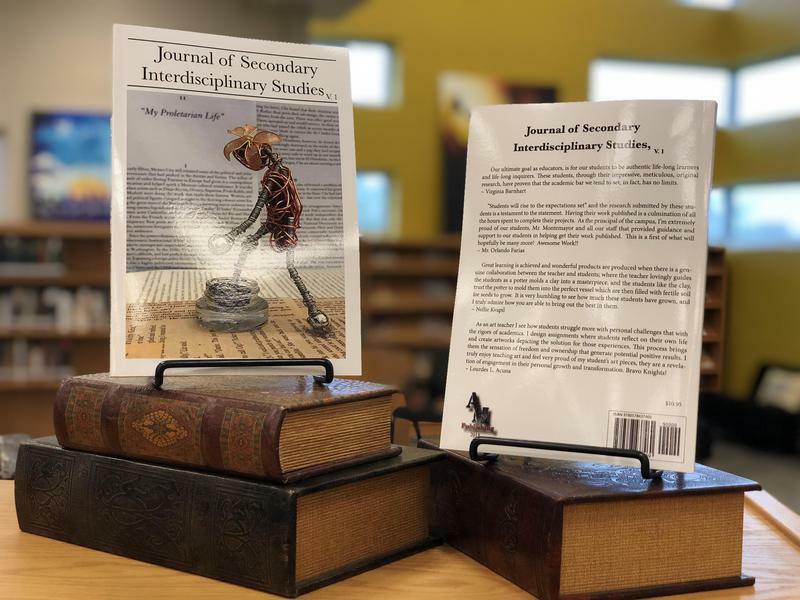 AP Capstone's Journal of Secondary Interdisciplinary Studies is Now Published! Mission Collegiate High School would like to congratulate Mr. Montemayor along with his AP Capstone students on making history. Their primary research papers and art pieces were appraised, reviewed and edited for publication in the Journal of Secondary Interdisciplinary Studies. Click on the link above for more details. Happy National School Counselor's Week! Happy Counselor's Week to our incredible MCHS counselors! 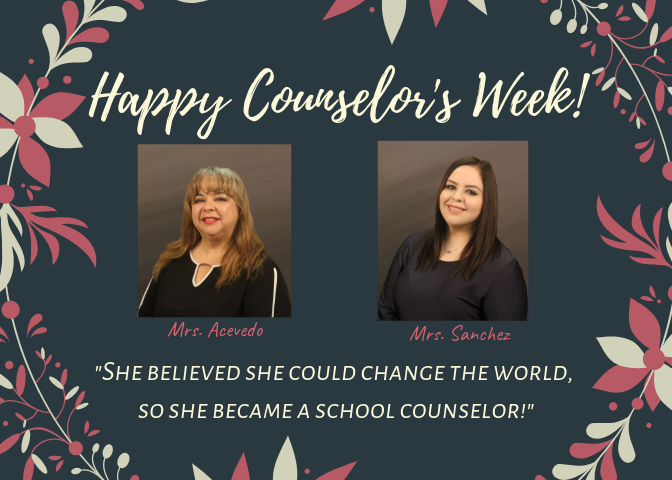 Thank you, Mrs. Acevedo and Mrs. Sanchez, for ALL that you do for our students and staff. Coach Rosales is MCHS Teacher of the Year for 2019! Kudos to Coach Rosales for being named this year's Teacher of the Year! 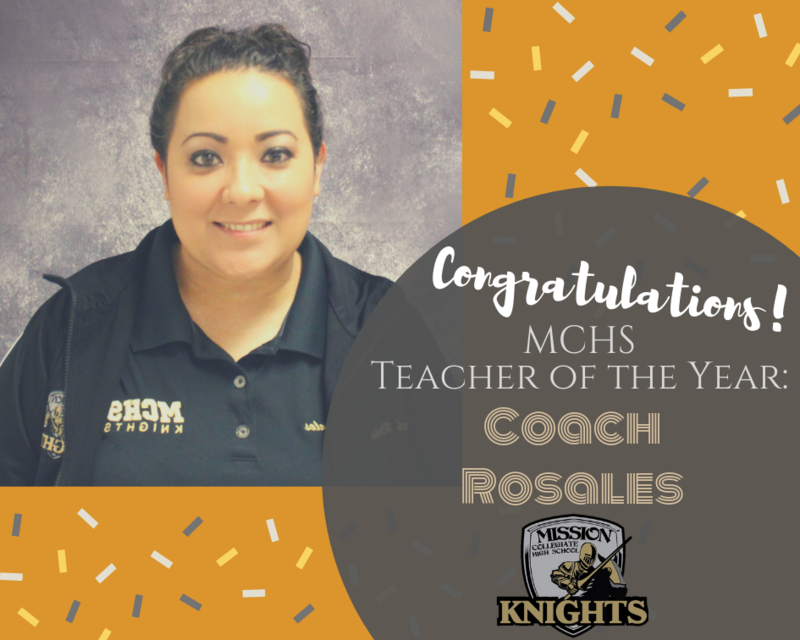 Coach Rosales has been a part of our MCHS faculty since 2015. 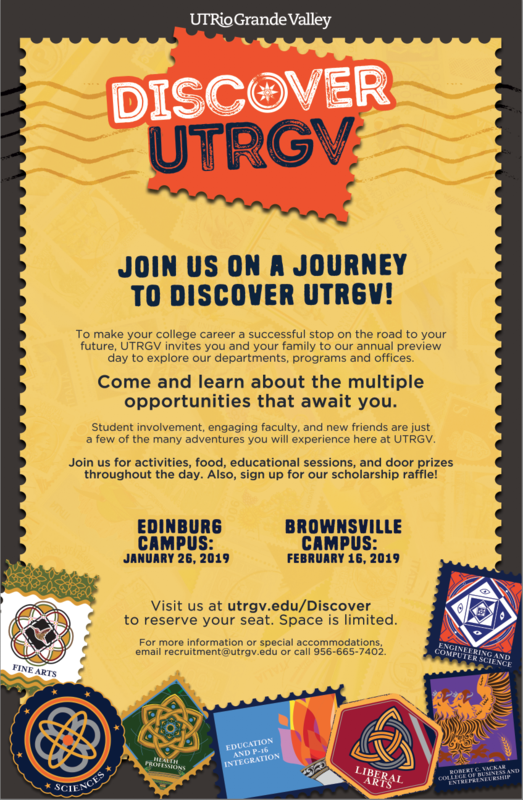 UTRGV invites you January 26th (Edinburg Campus) to their annual preview day. For more information, click on the link above. We will host a parent meeting on February 12th at 6 p.m. in the cafeteria for all the parents of 8th grade students interested in attending MCHS for the 2019-2020 school year. The deadline for applications is March 1st. Our application is linked above. 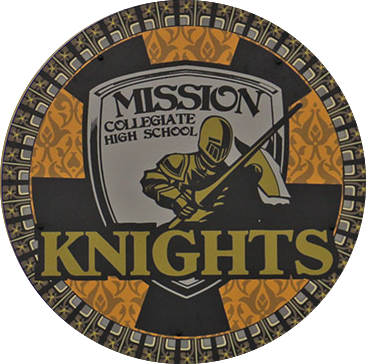 Mission Collegiate High School expects students to be driven by personal initiative and to put forth the sustained effort necessary to achieve academic excellence. Our commitment is to provide a quality and equitable education that inspires and empowers students to exceed limits in all aspects of life. Our vision is to foster individuals capable of thinking critically and globally, empowered by knowledge and inquiry, that are socially-responsible and unafraid of pursuing their goals, ideals and dreams.